The new for 2013 alkaline water machines are out, and here’s our review of bargain-priced ionizers being offered by the top brands. New for 2013 is the Alka Prime water ionizers, we like these ionizers because they offer proven technology at bargain prices like we’ve never seen! Quality – Do the plates have a thick coating of platinum? How long is the warranty? Power – Is the machine powerful enough to make alkaline water with a high pH and –ORP? Filtration – Are the machines filters adequate to purify the water? 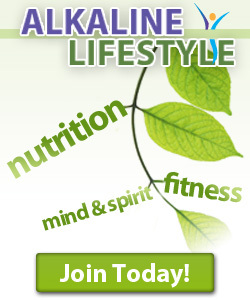 Quality matters, you are going to use your alkaline water machine every day. A cheap price for a machine that won’t hold up under ordinary usage is just not worth it. Power determines how well the machine can ionize your water. Some cheap ionizers simply don’t have enough power, so the water they make is not much better than filtered tap water. In our opinion, that’s a waste of money. Filtration matters because the healthy qualities of alkaline water can be ruined by toxins like chlorine. If an ionizer can’t effectively filter toxins in water, it can’t make healthy alkaline water. Bargain priced mid range ionizer! The Alka Prime is really a mid-range ionizer that comes in at the high end of the bargain price range. You get a lot for your money with this machine: It has 7 plates, and they have a thick coating of platinum. The Alka Prime also has a lot of power and multiple filters that use advanced technology for chlorine reduction. There’s a lot to love here, the Alka Prime is a great value. Ionways bought out Jupiter Sciences recently. We had hoped to see the Melody brought up-to-date in terms of power and filtration, but sadly that’s not the case. The Melody used to be one of our favorites, but time has passed it by. It’s priced just $100 less than the Alka Prime, but you lose a lot. The Melody has fewer plates, a lot less power, and only one filter. Unfortunately, the Melody is not worth the price they’re asking. Alkafresh is a great deal, perfect for small counters too! Our reviewers split on which machine was best, so we recommend both the Alka Prime, and the Alkafresh. Both of these machines are built to last, have plenty of power and great filtration. Choose either of these machines, and you can’t go wrong. 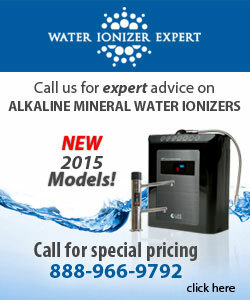 Alkaline Water Ionizer Reviews has special deals that can save you even more! Call us today at (800) 920-3792 to find out how much you can save.